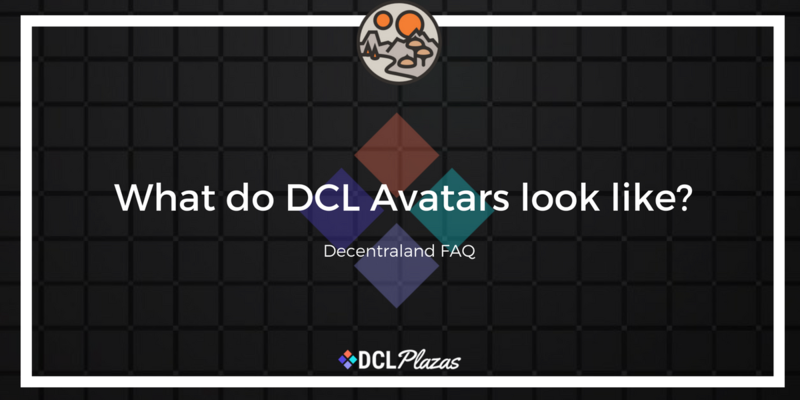 What do Decentraland Avatars look like? Decentraland Avatars are still a work in progress, however, the Decentraland team seem to be excited with the progress being made. Who finances the development of districts? Why is there sometimes a low participation rate on Agora vote decisions? How many unique addresses own LAND or Estates? How does Decentraland voting work? Do you need a VR headset to access Decentraland? What does Decentraland’s treasury look like? When can I walk around Decentraland in VR? What is the Terraform auction? How do I make money in Decentraland? How does a Decentraland Dutch auction work? How do Decentraland Mortgages work? Will there be another LAND auction after the 2nd Auction? Will there be another city in addition to Genesis City? How can I access LAND which isn’t adjacent to a road? What is a Decentraland Estate? Do you need to own LAND in order to build in the Decentraland SDK? Can I buy Decentraland plazas and roads? When can I buy unowned LAND in Decentraland? Can I sell my district contributions? Can I get a refund on my district contributions? What is the legal status of districts? Can I create my own Decentraland district? When can district contributors receive their NFT’s? Which is the largest district in Decentraland? How can I invest in a district? How many districts are there in Decentraland? Will the usage of MANA be enforced as the currency for all games in Decentraland? How can I get some MANA? What is the rate of inflation for MANA token? What is the total MANA supply? Is MANA burned every time LAND is bought & sold? Can I host content from my own server if desired? Will there be a drag and drop builder for Decentraland? Is Decentraland moving away from IPFS servers to more centralized servers? How many developers are helping to develop the current alpha version? Will the scene limitations on triangles and textures be lifted higher over time? What is a Plasma side chain? What is the Decentraland SDK? How are LAND titles and data storage handled? What is a non-fungible token?